I think I was too hard on Winnipeg. 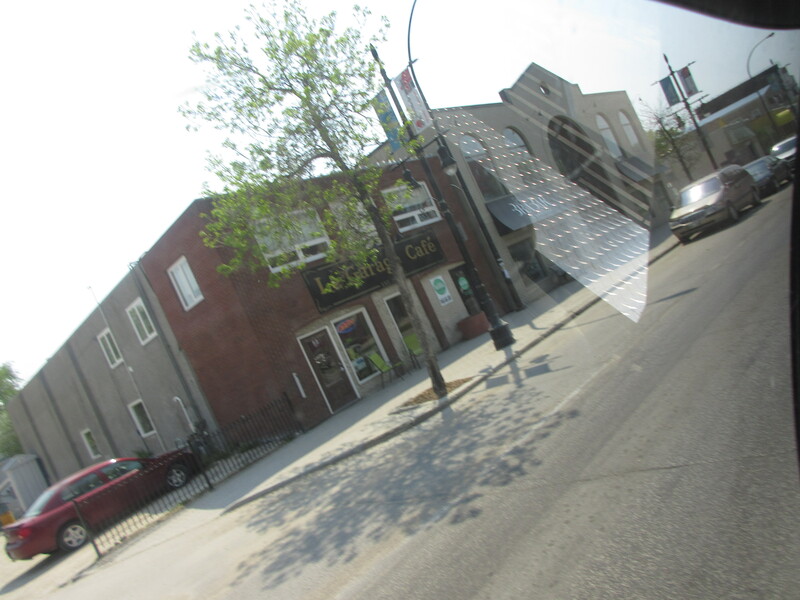 Traffic aside, Winnipeg has a bounty of both cultural and historic offerings. We spent a day at the Forks which is eerily similar to Granville Island in Vancouver, without the yuppies and sky-high real estate prices. 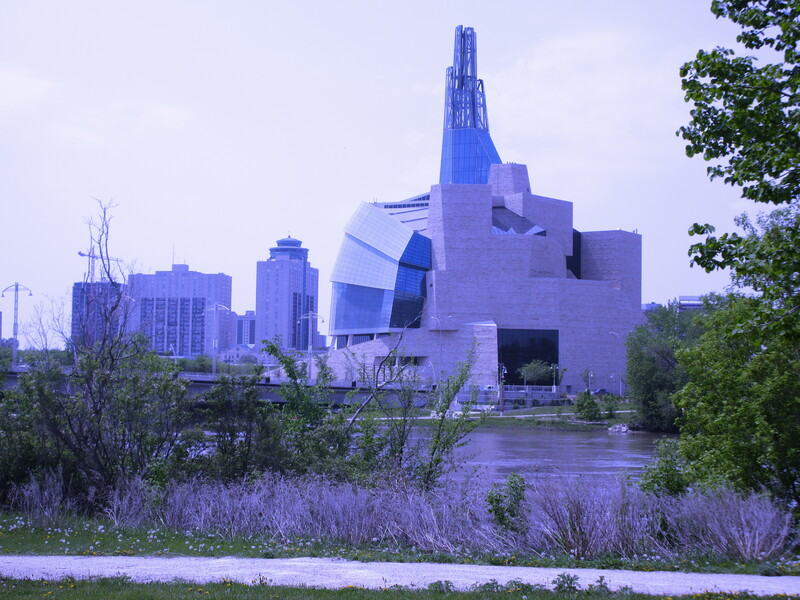 The Human Rights museum located near the Forks is one of a kind both architecturally and culturally. The Canadian Human Rights Museum. See Winnipeg has culture and a heart. I had the best, and I mean ‘the best’ tourtiere pie I have ever eaten there (sorry mom). For you non-French-lapsed Catholics out there, it is a seasoned pork and beef meat pie that our family has every Christmas Eve, after mass. Well actually after mom returns from mass. 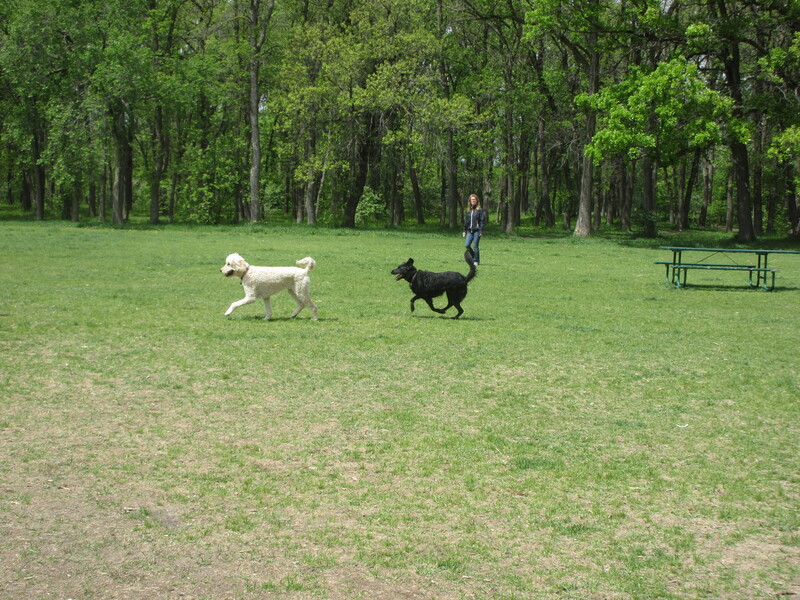 Did I mention the dog park we found. The Dog is still barking about it. Open fields, trails, plenty of other large canines to play with, it was four-legged nirvana. So my apologies Winnipeg, any city that was home to Louis Riel and The Guess Who can’t be all bad. I’m telling you, one more day in that trailer and I’m going to lose it! So what did this foray into Winnipeg teach the Maloneys. Simply – big city bad, small town good. 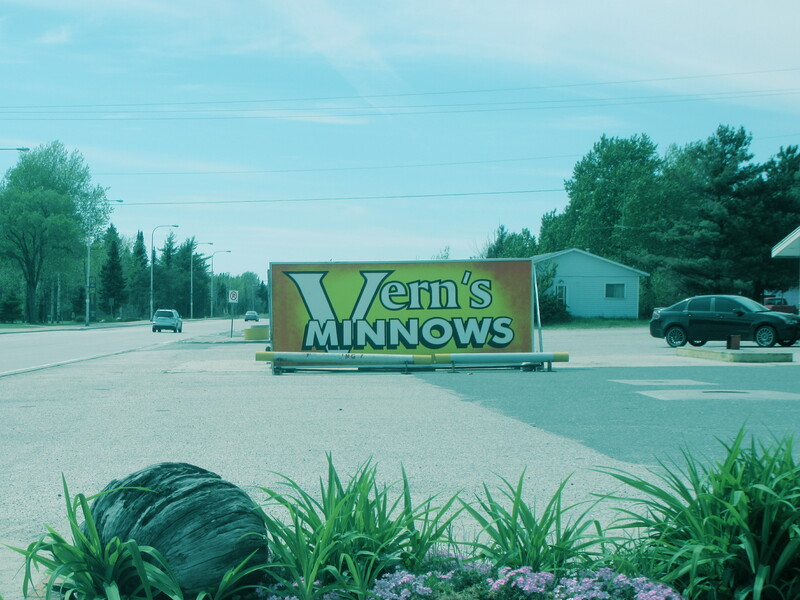 Fortunately we were heading into Ontario where small towns dot the north west side of the province. Like the transition from Saskatchewan to Manitoba, when you cross over to Ontario the landscape changes. Thickets of pine trees line the highways, the Canadian Shield is the closest I’ve felt to B.C. since we left. If it weren’t for the signs warning of imminent death by moose collision every ten kilometers I’d feel at home. Wanna feel at home in this part of the province, get yourself a shotgun and a fishing rod my friends. Hunting and fishing is the name of the game. Signboards for camping and fishing resorts line the sides of the highway. Resort being a loosey-goosey term for any campground offering a roof over your head and fish bait in the office. Isn’t this the home of that city that’s the centre of the universe? 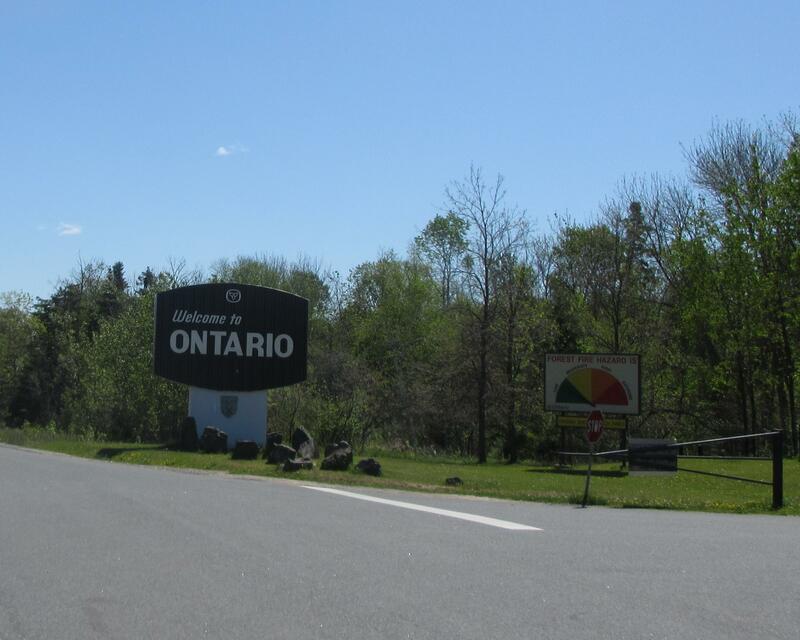 This part of Ontario is like a ten-year-old car. Still runs but the paint jobs a little tattered, the tires are a little worn, the upholstery needs some work. Abandoned businesses–motels, gas stations, restaurants–speak to an area that once thrived. We marvel at people’s bravery (foolishness) for starting a business in an area with seemingly nothing to offer but a shot at a moose or a chance to land a speckled walleye. 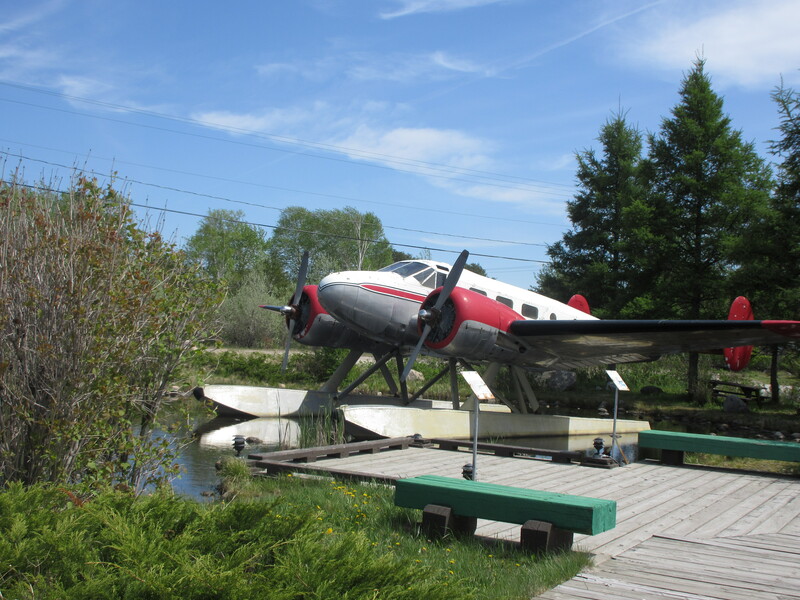 Our meandering takes us past Kenora with it’s beautiful Lake of the Woods location and seen-better-days downtown, through Dryden with a massive mill dominating it’s industrial landscape, until we arrive in Ignace and idyllic Davey Lake campground. I’m curious as to how many kilometers the wheels on the bus has covered so far? Glad the Dex Man is getting out to stretch his long legs and sniff new territory. Keep up the interesting (if not skewed) commentary – who knew the Maloney’s were such a significant part of Canadian history? The pics are priceless. I am seeing a published travel book in your future! Safe travels. This bus has covered some substantial kms. so far well over 5000. As to history according the the Dude his family was also on the Mayflower and he’s a distant cousin to Alexander the Great.